Nobody adopts, rescues or purchases a cat with the hope the new pet will develop behavior problems. The dream you have of life with your new cat involves one of companionship, good behavior and many long years together. 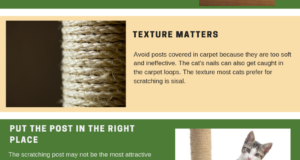 Unfortunately though, things can go wrong for a variety of reasons and you may find yourself living with a cat who has now developed one or more unwanted behaviors. It’s frustrating, to say the least, for everyone concerned – most especially the cat. If you knew you were dealing with a medical problem, the answer would be very clear, right? If your cat started bleeding, limping, had stopped eating, was coughing, seemed in pain or was lethargic you’d call your veterinarian to set up an appointment immediately. But when it comes to behavior problems, some pet parents tend to make assumptions, over-complicate or under-evaluate. 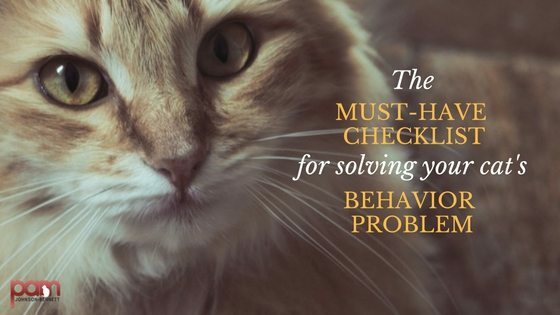 In other words, we tend to think we know why the cat is misbehaving and then we create our own solution to the situation. The problem with this plan is that some pet parents misread the behavior and as a result, the solution becomes either ineffective or counter-productive. A common example of this is when a cat parent assumes a cat’s unwanted behavior display is because the cat is “mad” or “getting even.” Thinking that an animal has the ability to come up with planned out punitive action in order to get back at a family member creates a break in the human/animal bond. The relationship starts to change in that the cat parent begins viewing the cat as an adversary who must be put back in his place. The other option is that the cat parent goes overboard in trying to make up to the “ticked off” cat in order to win back his love and approval. All the while, the cat parent is missing the actual cause of the behavior problem and using up valuable time that could be better spent looking for the right solution. Hi, is anyone able to help my kitty Nico? She’s the perfect cat in every way except one. She spends almost every hour of the day howling constantly. She’s been to the vet and there’s nothing wrong with her. I always ignore it, but it never does any good. Recently I’ve tried locking her out of the room I’m in until she stops but this hasn’t helped either. Any suggestions? I HAVE HAD MY CAT SINCE SHE WAS A KITTEN 8YRS AGO. SHE HAS RECENTLY STARTED TO BE AGGRESSIVE TO ME. SHE WILL COME TO ME WHEN I AM LAYING DOWN IN BED AND STARE AT ME THEN ATTACK ME. SHE HAS ALSO STARTED ATTACKING MY BARE LEGS AS I WALK ABOUT. PLEASE HELP.